Chais d’Œuvre is a club that allows you to receive, taste, share but also to buy the selection of wines from Manuel Peyrondet. 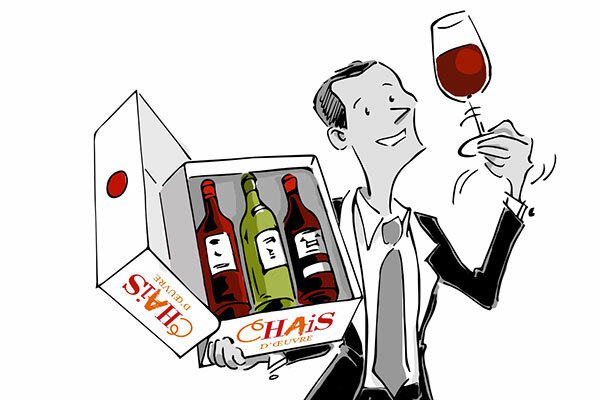 With the Chais d’Œuvre tasting club, receive each month a box of 2 or 3 different bottles, and open them at home in front of tasting videos. If the wines you like, you can buy them at the direct selling price property. And that, including the wines you will have discovered during our tasting evenings! Created in 2000 and based in France, London and Hong Kong, the iDealwine site offers a unique range of grands crus available for auction or direct purchase. At the auction, the cellars of individuals put on sale are full of rare wines and vintages ready to drink. In direct purchase of a network of more than 300 domains, our team of enthusiasts makes a select selection to offer you special bottles in all regions at prices that start at around €10. IDealwine is the leading French and European actor in wine auction sales. It is also a way to resell its cellar by offering it a worldwide exhibition: more than 400,000 enthusiasts from 120 countries are connected. We Love Movies is a young production company born of the association between Jordan and Jeremy; two friends, both from the artistic and technical world of the audiovisual sector, who after several years of experience on film sets had a common desire to produce and realize their own projects. This company based in the west of Paris has as its main motivation the cinema, but also specializes in various fields such as clip, advertising and all kinds of events requiring a visual capture. Atabula, pure media player of reference in the field of gastronomy, aims to inform, to arouse curiosity, to decipher and to identify the new trends. This site, directed and written by professionals of the press, was created in January 2009. It is independent and does not belong to any press group. It was founded by Franck Pinay-Rabaroust. Alain Ducasse, Anne-Sophie Pic, Paul Bocuse, Cyril Lignac, Pierre-Sang Boyer … The greatest chefs share their signature dishes in videos and illustrated steps. 6,000 recipes, more than 1,000 practical sheets dedicated to ingredients and utensils are to be discovered on the Académie du Goût! And it is also a list of addresses carefully selected and recommended by the chefs. From the gourmet restaurant to the neighborhood bistro and the market, hundreds of addresses of artisans of taste are to be discovered everywhere in France. Finally, L’Académie du Goût allows gourmets to propose their recipes, select their favorite contents and follow other members. It is the meeting place for all lovers of taste and culinary ambitions! The Paris Science & Sciences (PSL) research university offers the ideal environment for an academic culture of excellence, creativity and innovation: 4,500 researchers, 178 laboratories, 20,000 students, and ten incubators, fablabs and co-working spaces for student entrepreneurs in full Paris. Arts, sciences, engineering, humanities and social sciences are at the heart of its intellectual and scientific ambition. 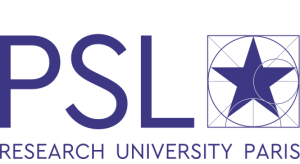 A global university, anchored in interdisciplinarity, selective, committed to promoting talent and equal opportunities, PSL creates the world of tomorrow.